2019 looks set to be a year of continuing vigorous debate on the role of antitrust enforcement in the digital world. Innovative technologies, which bring great opportunities for business and consumers, are also creating challenges for regulators charged with assessing the competitive impact of M&A deals and commercial conduct. At the same time securing sophisticated new technologies is a major factor contributing to increasingly protectionist moves across the G20 that threaten to insulate some markets and fuel competition concerns. 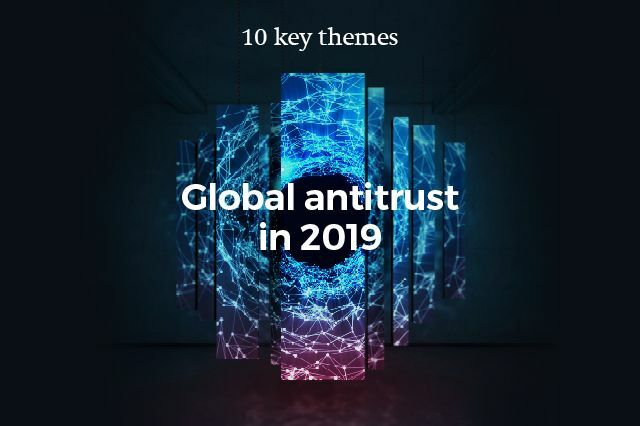 Today we published our ninth annual “10 Key Themes” review of key trends in global antitrust enforcement, which explores these and other themes of key importance to business in the coming year. the more general question of whether political or social objectives, such as fairness for consumers, employment opportunities, benefits to the environment or wider national interests, should be taken into account in antitrust enforcement. prepared for the increased scrutiny that certain deals will inevitably face, including foreign investment review. Throughout 2019 we will hold a number of events to discuss the implications of these and other developments. If you are interested in joining our discussions, do get in touch.